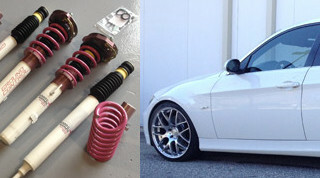 Stop by Ryan G. Motorworks in Placer County for your BMW service Rocklin needs. Just a few minutes outside of Sacramento, Ryan GMW is convenient for residents of the rapidly growing Rocklin area. 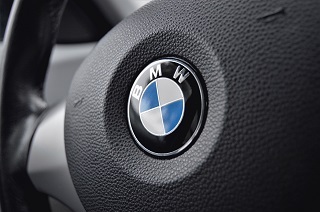 We can handle all of your BMW and German automotive needs, including repairs, inspections, and routine maintenance. Ryan Gangemi is a Certified BMW Master Technician, whose love for BMW just kept growing through the years with each vehicle he has owned and worked on. He is one of the few in the Rocklin area to hold this prestigious title, and his quality of work is second to none. He is not only experienced with BMWs but also with Mercedes, Audis, and Mini Coopers. With many years of experience working with German autos, Ryan Gangemi can solve any issue your vehicle may have no matter how complex the problem may seem. 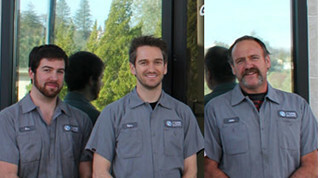 Rocklin BMW mechanic, Ryan Gangemi can perform just about any service you might need for your BMW. 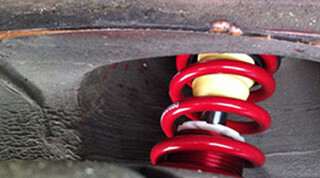 He routinely services clutches, brakes, hoses, timing components, and cooling system repairs. Among his specialties are the 30k, 60k, and 90k service and will even provide pre-purchase advice on further maintenance that may be necessary. With the help of certified technicians, Ryan and the team can service any German vehicle including BMW, Audi, Mercedes, Mini Cooper, and Porsche. We are pleased to have a team of professional technicians that are unmatched when it comes to experience and skill in the auto mechanic industry. With years of training and on-the-job experience, our customers and their vehicles are in great hands at Ryan GMW, the auto repair shop you can trust for the best quality service in Rocklin. The quality of our shop supports our marvelous professionals. With a generous 9,000 square feet of shop space utilizing seven lifts, Ryan GMW is capable of more than just the average shop around Rocklin. We take pride in keeping our store clean and comfortable, not only for ourselves but we do it for our customers. We are proud to offer a shop and waiting area that rivals a high-end dealership regarding comfort and features. We will continue to provide the highest customer service in the Rocklin area for your automotive needs. At times, it may be confusing hearing services like timing belt change, or that there is a problem with the suspension, and we will take the time to explain what is going on with your vehicle and the services needed to keep your car running like new. Maintaining your BMW is crucial to keeping it running like new. Checking up your vehicle’s systems regularly helps avoid significant problems further down the line. If something needs to be replaced like a worn-out brake pad and it is not serviced, it could end up destroying the rotor, which means it will cost more to repair than the initial problem. Early detection and service can save you from breakdowns and expensive, lengthy repairs, which is why it is important to bring your vehicle to the shop when a problem is suspected. Perhaps the most crucial service anyone can have done on their vehicle, the oil change is necessary to maintain a reliable engine. Your car’s motor requires oil for lubrication and cooling of the internal parts. If it runs low or is dirty from extended times between oil changes, it won’t run as effectively. You may notice a drop in fuel economy or more sluggish performance. When you bring your vehicle in for the 30k, 60k, and 90k service or a routine oil change between, one of the first things we will do is check the oil level. If found to be lower than required, we may inspect for areas where it could be leaking; often this could be from the valve cover gaskets or oil pan gaskets. The air filter performs a vital job in the operation of your vehicle's engine. First, it allows the engine to have a stream of air needed for combustion. Second, the air filter will stop any debris from directly entering the engine. The reason we put a focus on air filter maintenance, not only because the manufacturer says too, is due to a dirty air filter that negatively affects the engine performance. Changing of your vehicles air filter, if dirty or after a certain amount of miles, is vital to your engines health and the quality of how it runs. 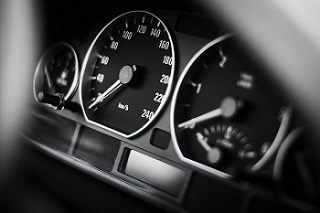 If you are concerned with your fuel economy or you feel your BMW has plummeted when it comes to MPGs, having a fuel injection cleaning performed may solve the problem. In addition to pool fuel economy, a clogged fuel injector can also cause many issues like a rough idle. With a fuel injection cleaning, any dirt that has blocked the injection is carefully removed allowing the injector to spray fuel like normal. This service is included with many of the milestone maintenance services. Rotating tires may seem like an unnecessary service to some but it does play a role on how well your car goes down the road. Tires keep your auto firmly planted on the road, and if not properly maintained could potentially cause accidents. Take for example, you have a rear-wheel drive BMW. The rear tires will experience more wear than the front because they are connected to the axle that gets your car moving. If these wear down, the traction will worsen. Not having traction could lead to dangerous conditions if operating your vehicle in the rain. During a tire rotation, we will move the front tires to the rear, thereby extending the tire life, and giving all four tires equal wear. During a 30k, 60k, 90k mile service we will inspect the wear of each tire and inform you of any findings that may be cause for concern like tire rubbing, cords showing, bulges or uneven wear. Tire safety is a priority. Not only do we check the critical components above, but we will also inspect other major systems of your BMW like the brakes, cooling system, and transmission. If your car has a service engine light on, we also have diagnostic testing available. At 90,000 miles there are more extensive services that should be taken. Because most cars are finally getting broken at 90k miles, many of the parts will start to show signs of wear and will need to be replaced, or fluids may need to be changed or refilled. During a 90k service, we will replace old spark plugs with new ones and inspect the transmission as well as the differential fluids. All these services help keep your vehicle running smoothly. For vehicles past 90k miles, there are still routine maintenance services that will need to be completed to ensure your vehicle stays on the road for another 90k miles. Every 30k, you should bring your car to Ryan GMW for a regular oil change, inspection of the air filter, tire rotation, and fuel injection cleaning. Typically at 120k more extensive services that may involve the timing belt will have to be completed to ensure your vehicle’s engine keeps running for years to come. We believe that the customer is the most important and our track record of reviews proves that we’re doing it right: Yelp, Google, and RepairPal all rate us with five stars. Please read through the testimonials on our website and feel confident in the quality of our shop services and expertise of our mechanics. We will not make recommendations for services your vehicle does not need and we will make sure you understand what we’re doing and why it is necessary before we get started. 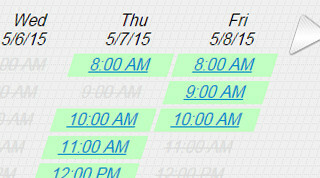 Routine maintenance appointments can be easily scheduled on our website. Select the service you need from vehicle inspections, oil changes to brake services. A calendar with openings will appear allowing you to select the most convenient date and time. If you need to schedule an appointment farther out than the web allows, just give us a call at (530) 305-2499. Our limited-time discounts will be applied automatically to your service when you schedule through the website, making it easy to take advantage of our limited-time offer for a free vehicle inspection. Most scheduled routine maintenance appointments take about an hour to complete. For more extensive services, we are happy to provide an estimated wait time, so our customers know what to expect. Most work, if not all, from simple to complex can be performed right here in our Rocklin shop. So for those customers that prefer to wait for the services to be completed, they have the peace of mind their vehicle is in the best hands with Ryan Gangemi and his team. Our waiting room is comfortably furnished with a flat-screen TV, coffee and water machines, as well as a beverage center. 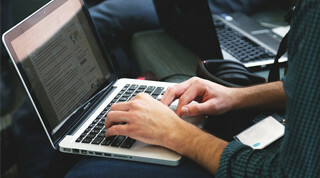 Take advantage of the FREE Wi-Fi while you wait for our team of expert mechanics to service your vehicle. For longer waits on more extensive services, we are located within walking distance of several food and coffee options. But if you would prefer, we can drop you off at home or work if it is within 15 miles of the shop with our FREE transportation service. This free service is great for those that need to be at work or home at a certain time, but still, want to have their auto repaired.